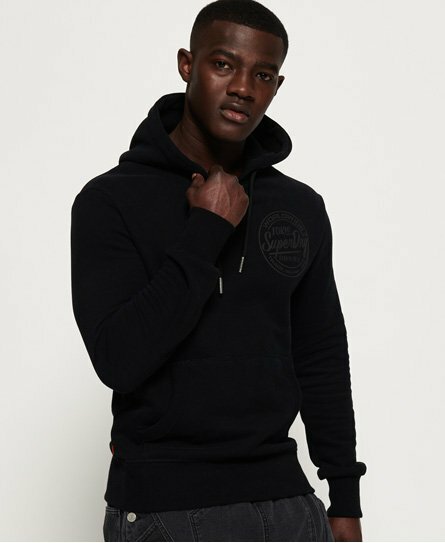 Superdry men's Ticket Type mono hoodie. This simple yet stylish hoodie features a drawstring hood, front pouch pocket and logo graphic on the chest. Completed with the signature orange stitch in the side seam, pair this hoodie with jeans and trainers for laid back dressing.